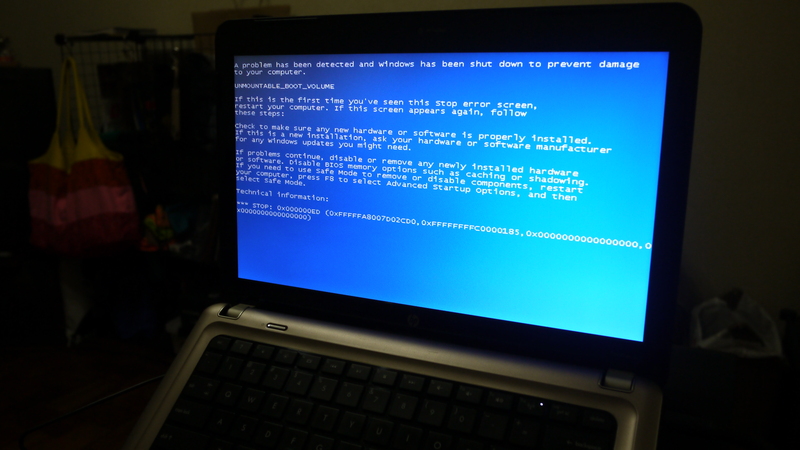 Last night I went home and proceeded to turn on my computer, which was perfectly working when I left in the morning, and was greeted by a BSOD right after the shining Windows logo at startup. Two things immediately came to my mind as possible culprits the first one being that the hard drive, which was just recently replaced, had again died and the second one being one of those rogue Windows updates thay doesn’t mix well with the system and causes it to crash. It turned out to be neither of the two as I suspended the automatic reboot in order to read what was the error written on the BSOD and sure enough it is the Unmountable Boot Volume. As it turns out, this dreadful error stems from constantly reading the MBR causing it to be corrupted which is pretty inconvenient as the computer practically does that every day on startup. 2. Go into Repair Your Computer after choosing a language. 3. Wait patiently! This is very important as it took around 30 mins just for the interface to come back up. 4. 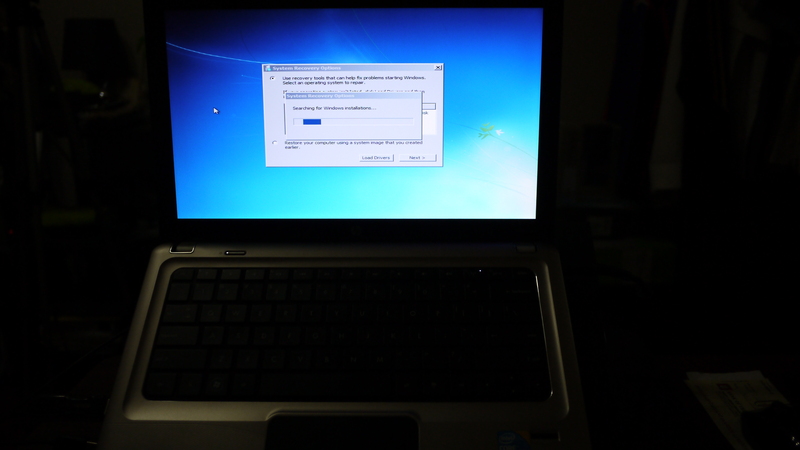 Choose the OS to repair and click next. Take note of the drive letter indicated here. 6. 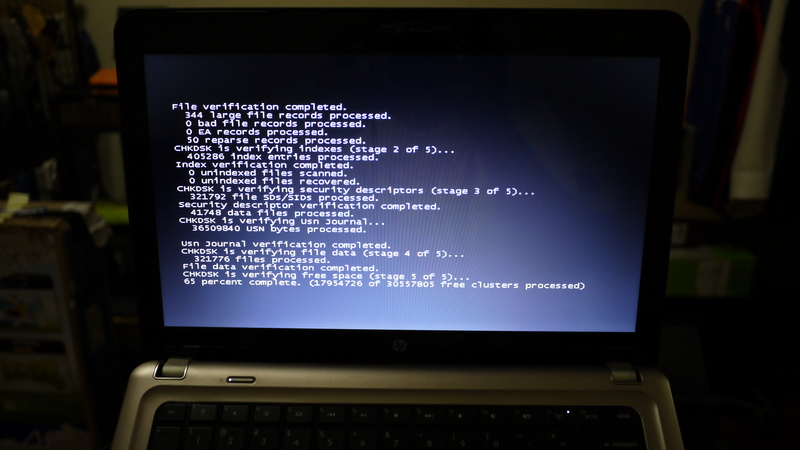 Type in chkdsk /r D: replace D with whatever drive letter was shown to you earlier. This is a chkdsk interface when started up from within Windows, the text is the same but during repair you would have to run the chkdsk from DOS and that is very slow compared to this one. I ran the chkdsk twice to be absolutely certain I’ve gotten rid of corrupted sectors. 7. After it finishes you can type bootrec.exe /fixboot or bootrec.exe /fixmbr depending on what you think is appropriate for your case, you can type bootrec.exe first to find out more about the commands. 8. Hit the Restart button on the screen. These steps allowed me to get back in this morning after a dreadful evening of almost attempting another reformat… who knew checkdisk would come in so handy. After four days the error remanifested itself, this could be a clear sign of deterioration tsk, I didn’t want to have to redo my system this early on.